Home > Pet Care > What are the Questions to Ask While Adopting a Pet Bird? Are you going to adopt a pet? Shifting to a new place or home is not easy for some pets but it can be easy for some of the pets. The transition to a new home could cause growing pains for both owners and pets. If you are willing to add some feathered friend to your family then here are some questions to ask before adopting a pet. 1. Do I have enough space? Birds are very active in flying, chewing and gliding, etc. Large birds need enough space for their activities. Large space is required for cage so that your bird will be able to spread his wings. Birds would like to hop from perch to perch hence needed wider space and have enough height to move. Always keep the cage in the area where natural light focuses. Experts suggest that birds like to have its cage near window as it enjoys the sunlight during the day. Kitchen area is not safe for pets as the fumes harm them. 2. Are you ready for long term commitment? If you want to adopt a pet then get ready for long term commitment as you are going to look after your pet for the rest of his life i.e. nearly up to 10 years. Your pet will become a permanent part of your life. 3. Will you be able to spend quality time together? Birds are social animals. Birds always think to spend a lot of time with you. If you are busy in your schedule, adopting a pet is not suggestible. Birds do better when they are in pairs. So get two birds, a female and male bird of same species if your budget allows. So that it will get a constant bird. 4. Can you afford to care for your pet’s health and safety? Owing a pet costs more than the initial adoption fee. Veterinary care and food charges could add to you initial adoption fee. So you should prepare for everything before adopting a bird. 5. Do you have realistic expectations? Daily cage cleaning is necessary and you have to make your homes switch to bird proof homes i.e. covering all electrical cords so that bird could not chew it. Remember that birds could bite. So be prepared for your pet bites. 6. Is your family ready for a pet bird? If you have toddlers, then it will not be the right time to get a pet bird to your home. Just wait for few more years. And also consider that you may have another pet that is not yet ready to share his freedom with another pet. 7. Are you willing to train your animal companion? Due to lack of proper training, many of the adopters return their pets to the shelters. 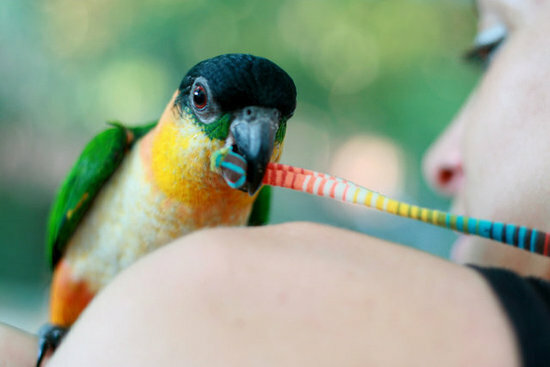 Getting basic training helps both owners and pet birds to communicate each other and strengthens the relationship. Understanding your pet helps you to avoid potential problems. 8. Are you ready to deal with pet’s health challenges? Pet owners should get ready for the health related problems of their pets like allergies, fleas and sudden medical issues. So you should be prepared to face those situations when the pet falls sick. 9. Do you know what kind of pet is right for you? 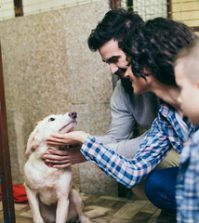 Considering your lifestyle and personality is necessary along with some challenges like spending enough time and space restriction when adopting a pet. Experts help you in finding perfect matches. 10. Is your living space adequate for an animal companion? Make sure of your surroundings while adopting a pet animal. If you stay at noisy place or street then it would disturb your pet animal. Also you should keep in mind that many apartments or land owners don’t allow having pets.